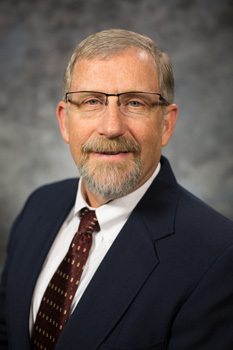 Professor Harrison has teaching and research interests in the areas of supply chain management and modeling, large scale production anddistribution systems, decision support systems, applied optimizationand the management of renewable natural resources. Development of methods for prescriptive analytics with a focus on business supply side decisions and risk mitigation. BAN 550 Prescriptive Analytics for Business (3) Analytics, defined as the scientific process of using data and quantitative techniques to make better decisions, has permeated virtually all aspects of business. The widespread availability of large amounts of detailed data combined with analytics methods permits an extensive examination of the tradeoffs that inform business decision making, with the ultimate goal of choosing “best” courses of action. BAN 550 explores the use of prescriptive analytics methods in a variety of business contexts. In the early part of the course, the focus is on the tools and methods of prescriptive analytics. As the course progresses the emphasis shifts to the effective integration and implementation of prescriptive analytics in supply-side decision making processes such as supply chain management, service management, operations, logistics and transportation. The applications areas within business will reflect the interests of the instructors and will evolve as new areas of theory and practice develop. This course is designed to provide students with an overview of the role of operations in the organization, the kinds of decisions operations and supply chain managers make, and the impact of these decisions on the strategic and tactical position of the firm. Supply chain management is a particular focus in the course. The interaction of production, distribution and information resources plays a critical role in developing and sustaining a firm's competitive advantage. Methods and tools to support supply chain decision making with emphasis onforecasting, inventory analysis, and demand planning. Introduction to theory and practice of optimization methods and models for analyzing and improving the performance of supply chain environments. Students will investigate a sustainability and supply chain business problem on Penn State University's campus. Principles of SC&IS emphasizing research topics; introduction to optimization methods for analyzing and improving the performance of supply chain environments. Introduction to the organizational processes and methods used to create and deliver goods and services. Letizia P., Pourakbar M., Harrison T. P., "The Impact of Consumer Returns on the Multichannel Sales Strategies of Manufacturers." Production and Operations Management, vol. 27, no. 2, 2018. Caryon P., Dwork C., Harrison T. P., Karr A., Keller S., MacLean A., Maier D., Robinson S., Sackett P., Squillante M., Strickland W., Tadelis S., "Strengthening Data Science Methods for Department of Defense Personnel and Readiness Missions." 2017, doi:10.17226/23670, Invited. Neidigh R. O., Harrison T. P., "Optimizing lot sizing with nonlinear production rates in a multi-product multi-machine environment." International Journal of Production Research, vol. 55, no. 4, 2017, pp. 939-959, doi:10.1080/00207543.2016.1207820. Scott F. A., Harrison T. P., "Additive Manufacturing In An End-to-End Supply Chain Setting." Additive Manufacturing, 2015. Harrison T. P., Houm P. J., THOMAS D. J., Craighead C. W., "Supply Chain Disruptions are Inevitable---Get READI: Resiliency Enhancement Analysis via Deletion and Insertion." Transportation Journal, vol. 52, no. 2, 2013, pp. pp. 264-276. Neidigh R. O., Harrison T. P., "Optimizing lot sizing with non-linear production rates in a multi-product single-machine environment." International Journal of Production Research, 2013, pp. 13, dx.doi.org/10.1080/00207543.2012.752114. Hayya J. C., Harrison T. P., He X. X., "The impact of stochastic lead time reduction on inventory cost under order crossover." European Journal of Operational Research, vol. 211, no. 2, 2011, pp. 274-281. Chen-Ritzo C., Ervolina T., Harrison T. P., Gupta B., "Component rationing for available-to-promise scheduling in configure-to-order systems." European Journal of Operational Research, vol. 211, no. 1, 2011, pp. 57-65. Zhao K., Kumar A., Harrison T. P., Yen J., "Analyzing the Resilience of Complex Supply Network Topologies against Random and Targeted Disruptions." IEEE Systems Journal, vol. 5, no. 1, 2011, pp. 28-39. Robbins T. R., Harrison T. P., "New project staffing for outsourced call centers with global service level agreements." Service Science, vol. 3, no. 1, 2011, pp. 41-66. Robbins T. R., Harrison T. P., "A stochastic programming model for scheduling call centers with global service level agreements." European Journal of Operational Research, vol. 207, no. 3, 2010, pp. 1608-1619. Robbins T. R., Medeiros D. J., Harrison T. P., "Cross training in call centers with uncertain arrivals and global service level agreements." International Journal of Operations and Quantitative Management, vol. 16, no. 3, 2010, pp. 307-329. Chen-Ritzo C., Ervolina T., Harrison T. P., Gupta B., "Sales and Operations Planning in Systems with Order Configuration Uncertainty." European Journal of Operations Research, vol. 205, no. 3, 2010, pp. 604-614. Hayya J., Harrison T. P., "A mirror image lead time inventory model." International Journal of Production Research, vol. 48, no. 15, 2010, pp. 4483-4499. Neidigh R., Harrison T. P., "Optimizing lot sizing and order scheduling with non-linear production." International Journal of Production Research, vol. 48, no. 8, 2010, pp. 2279-2295. Mo Y., Harrison T. P., Barton R. R., "Solving stochastic programming models in supply chain design using sampling heuristics." IMA Journal of Management Mathematics, vol. 22, no. 1, 2010, pp. 65-77. Hayya J. C., Harrison T. P., Chatfield D. C., "A solution for the intractable inventory model when both demand and lead time are stochastic." International Journal of Production Economics, vol. 122, no. 2, 2009, pp. 595-605. Chatfield D. C., Harrison T. P., Hayya J. C., "SCML: An information framework to support supply chain modeling." European Journal of Operational Research, vol. 196, no. 2, 2009, pp. 651-660. Hayya J. C., Harrison T. P., Chatfield D. C., "Exploring the structural properties of the (D,0) inventory model." International Journal of Production Research, vol. 47, no. 10, 2009, pp. 2767-2783. Harrison T. P., Robbins T., "A Simulation Based Scheduling Model for Call Centers with Uncertain Arrival Rates." Proceedings of the 2008 Winter Simulation Conference, 2008, pp. 2884-2890. Chen-Ritzo C., Harrison T. P., Kwasnica A. M., Thomas D. J., "Better, Faster, Cheaper: An experimental analysis of a multi-attribute reverse auction mechanism with restricted information feedback." Management Science, vol. 51, no. 12, 2005, pp. 1753-1762.